Irfan Pathan Gave A Fitting Reply To A Fan Who Tried To Mock Him !! The Pathan brothers may not be a part of the Indian cricket team but they still have a huge fan following, especially Irfan Pathan who impresses people with not just his game but also for his personal choices. Irfan has received a lot of love from his fans, he has also been trolled quite a few times on social media for different reasons. However, this Indian cricketer who also did commentary in this year’s IPL is one of those who live life freely and on their own choices. 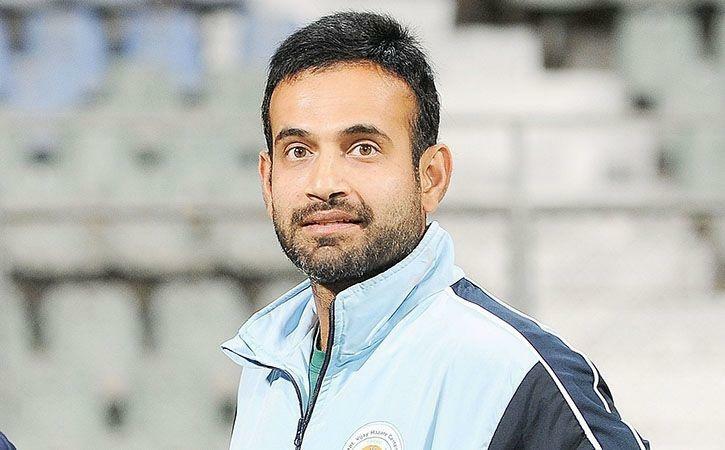 Irfan Pathan is now busy playing in the Ranji season in Jammu & Kashmir, and is also training the youth along with it. Being one of the best players of his time, Irfan Pathan loved how Australia took Virat Kohli’s wicket in the ODI series. Irfan Pathan absolutely loved the way Australia got Kohli’s wicket and lauded them for the same on his official Twiter account. He thought it was a brilliant move and expressed the same on Twitter. To this tweet a fan comment seemed completely irrelevant that he mocked Pathan. 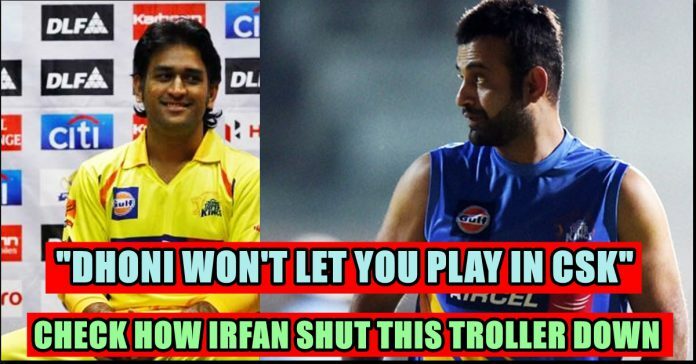 He tried to take a jibe at Irfan and went on to say that MS Dhoni won’t pick him in the CSK team in the IPL. 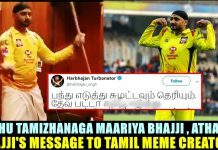 The comment was senseless as the fast bowler’s tweet had nothing to do with Dhoni. 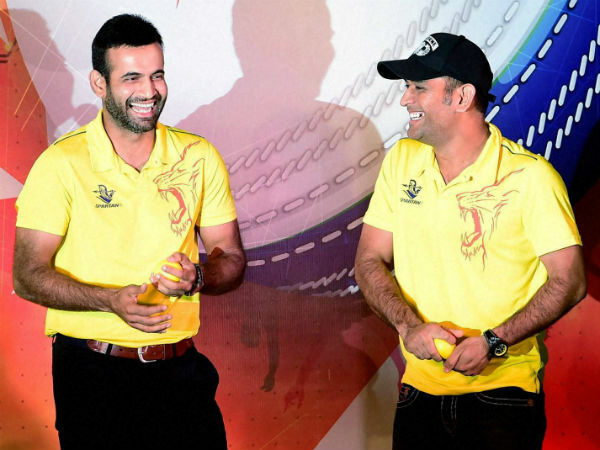 The fact that Dhoni and Pathan played together in the IPL in the same team made the fan comment about the same. But Irfan clearly didn’t like it and straight away responded to the fan clearing that he played the game and succeeded purely on his talent and nothing else. “Apne dum pe Khela hoo jitnaa khela hoo. Kisi khilane ya nahi khilane se nahi (Whatever cricket I have played is due to my talent and not for anyone picking me in the team or not),” Irfan’s reply read. Comment your views on Pathan’s reply !! 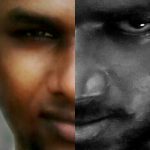 Previous articleThis Video Dhoni Joking About His Retirement Goes Viral !! You Just Cannot Miss !! Next articleActor Vivek Introduced 10 Years Challenge ?? 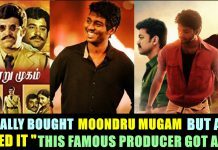 Check Out How !! 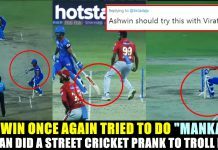 Ashwin Gets Trolled By Dhawan For Trying To Do “Mankad” !! Reactions Are Just Hilarious ! !